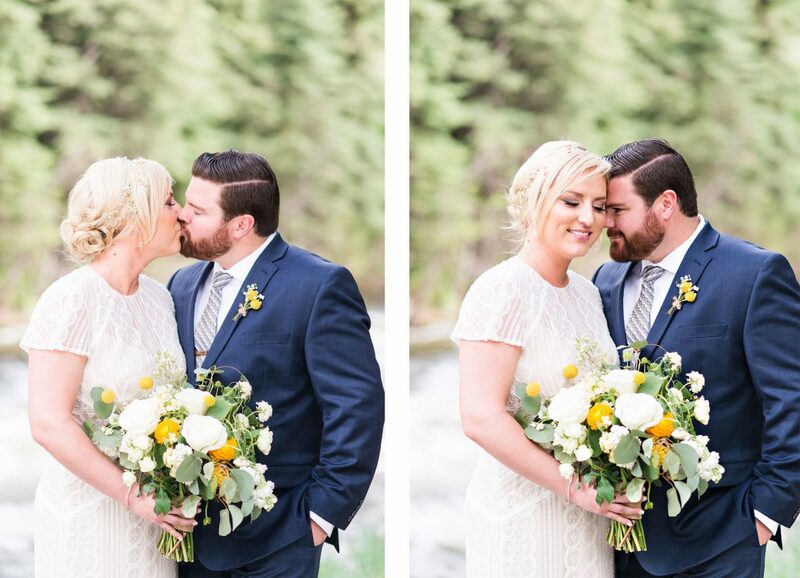 From the bride, Gabby: The most important thing we considered while planning our wedding was each other. 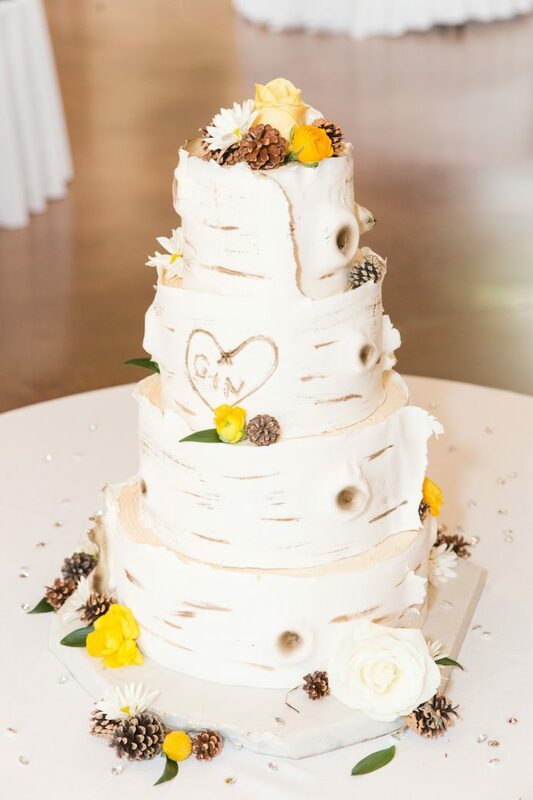 We really wanted to be true to our roots and keep things simple. 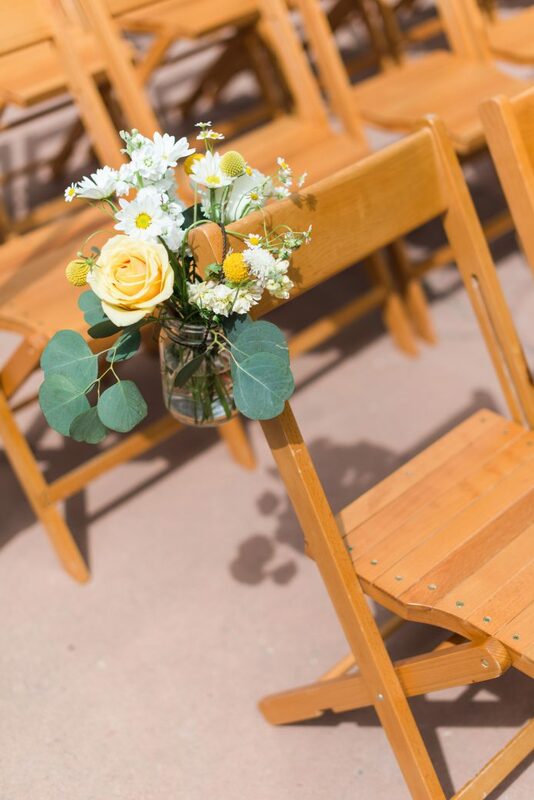 The style was inspired by our lifestyle and we personalized the day down to every little detail. 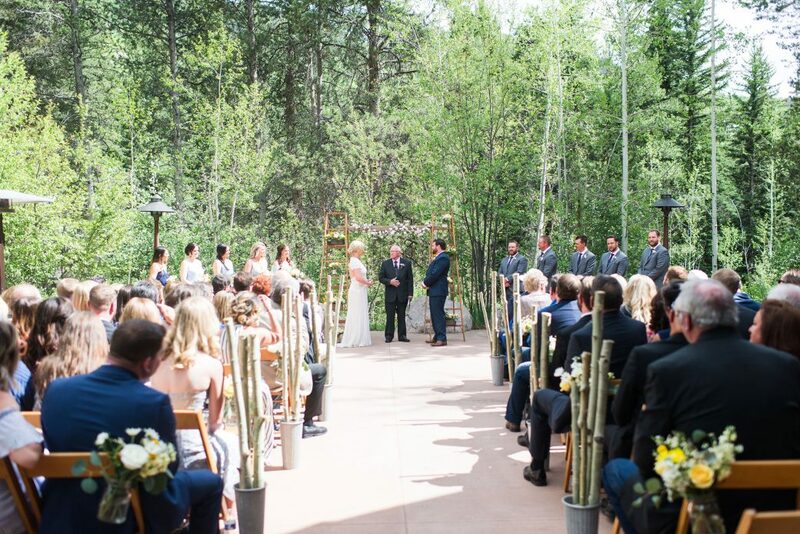 We love the mountains and chose Vail as it is a mini-Switzerland with all the romantic feels. 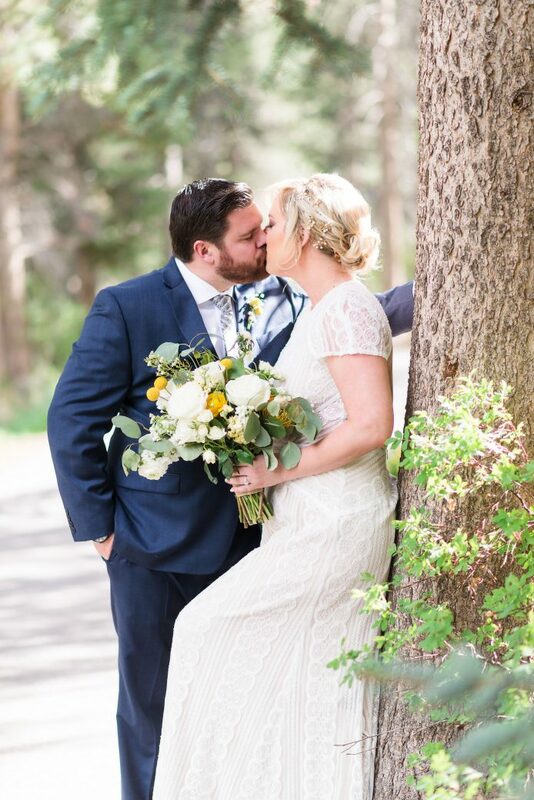 We held our wedding on Sunday over Memorial Day weekend so that people could travel from out of state and not take days off work unless they wanted to. 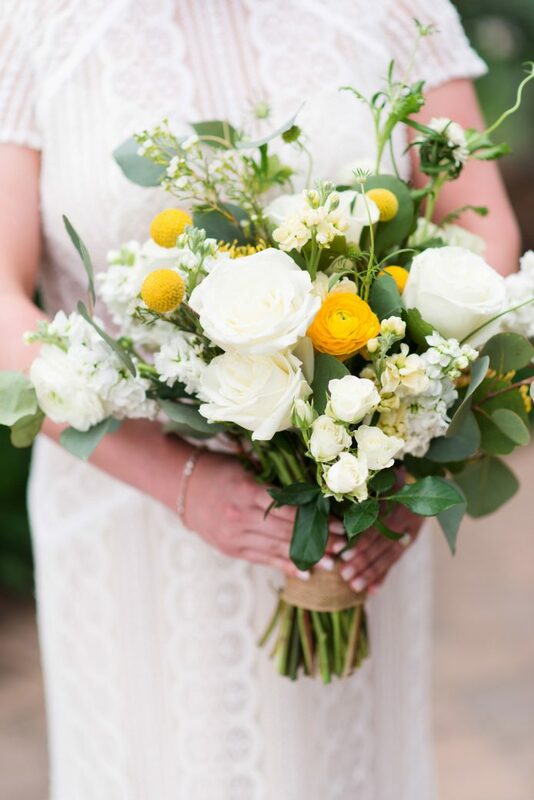 Our flowers had a wildflower mountain feel with a nice pop of yellow (my favorite color). 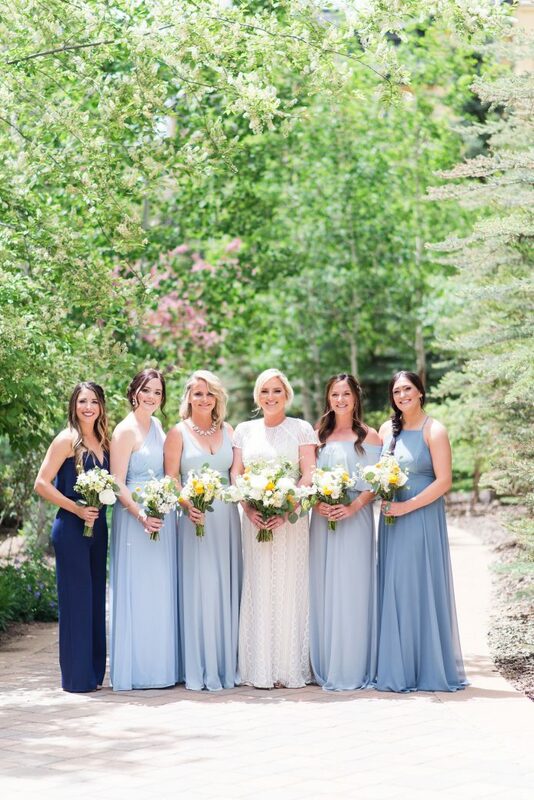 The wedding party wore different shades of blue which looked great standing in front of the green aspen trees. 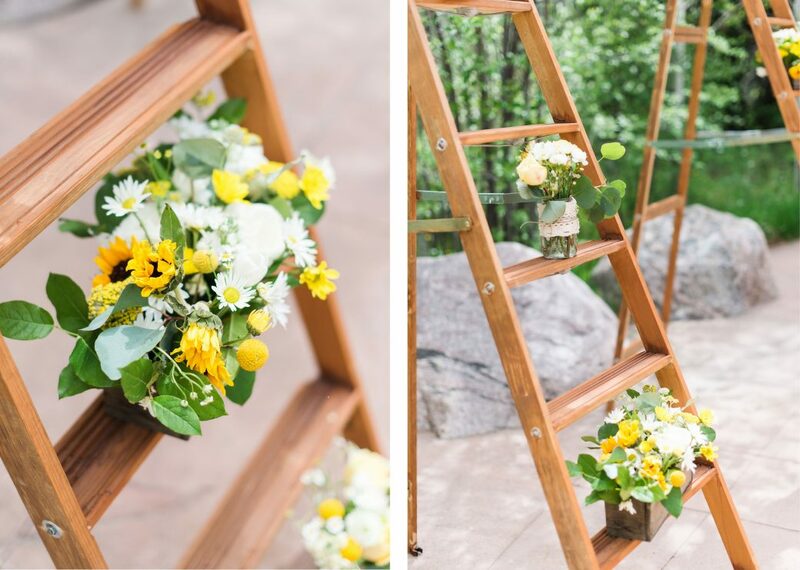 We assembled and stained our ladder alter and the aspen buckets going down the aisle. 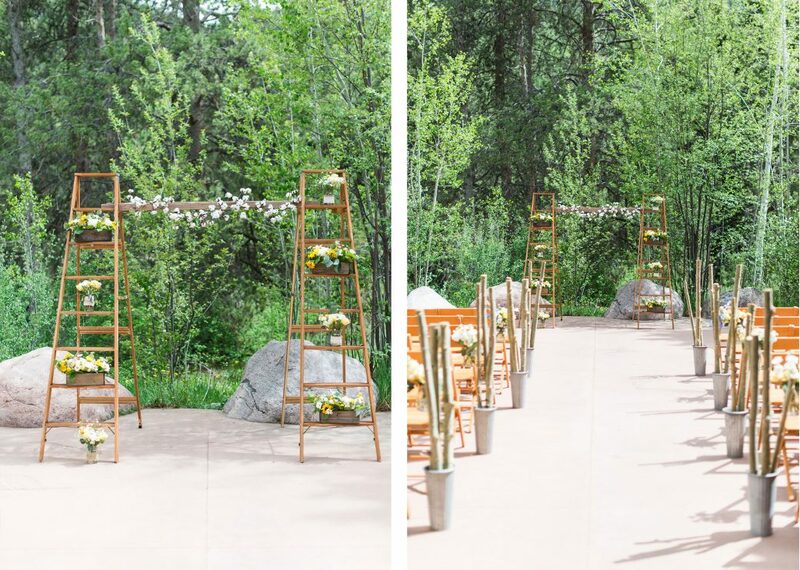 We had three signs for our three ring bearers to hold down the aisle. The first said “Uncle Nick” the second said “Here Comes” and the third said “Your Bride” but the ring bearer in the middle who was three years old wasn’t having anything to do with that sign, so it read “Uncle Nick… Your Bride”. It got a big laugh from the crowd and it still kind of worked! 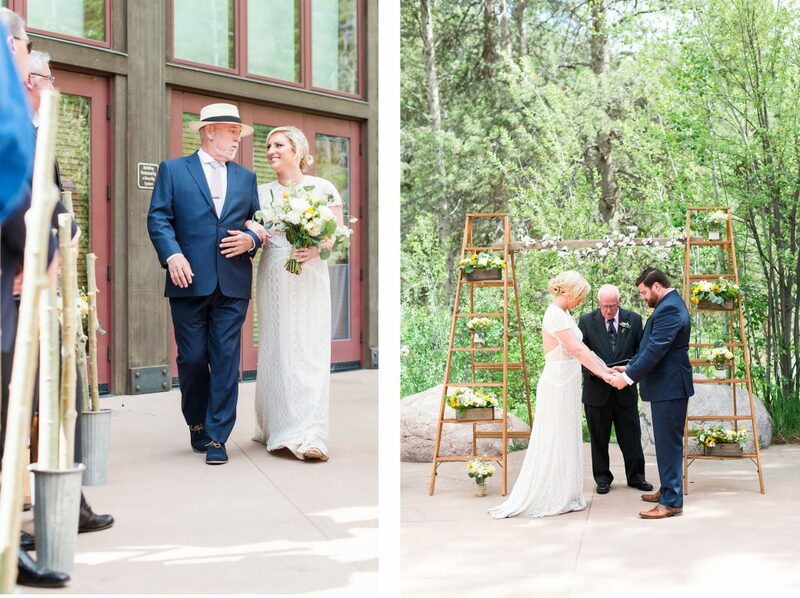 Every moment of the day was truly a favorite: walking down the aisle with my dad, saying our own vows, the poem read from the oldest ring bearer, and the KISS! 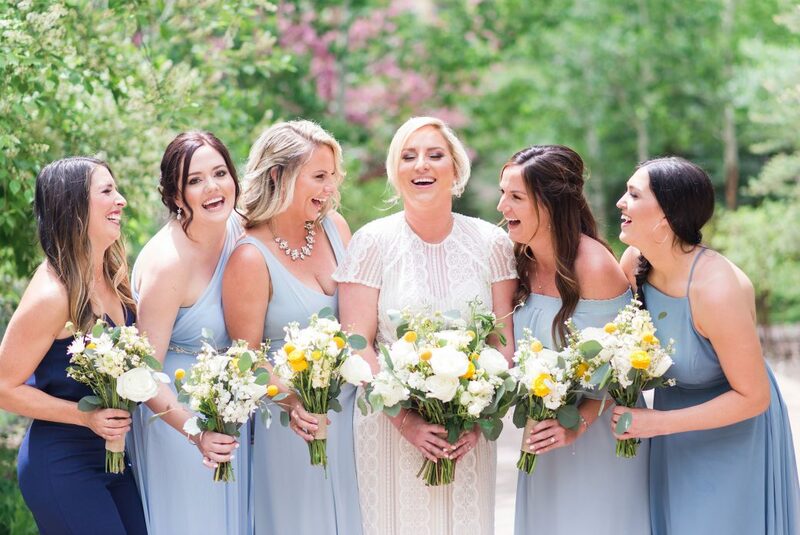 Looking back, we would absolutely recommend a mountain wedding and depending on the time of year, you could capture any season you’d like from a spring mountain wedding with all the flowers blooming to a winter wedding with snow on the mountain. Make the day about the two of you and not let anyone else’s wants, needs, or vision get in the way. 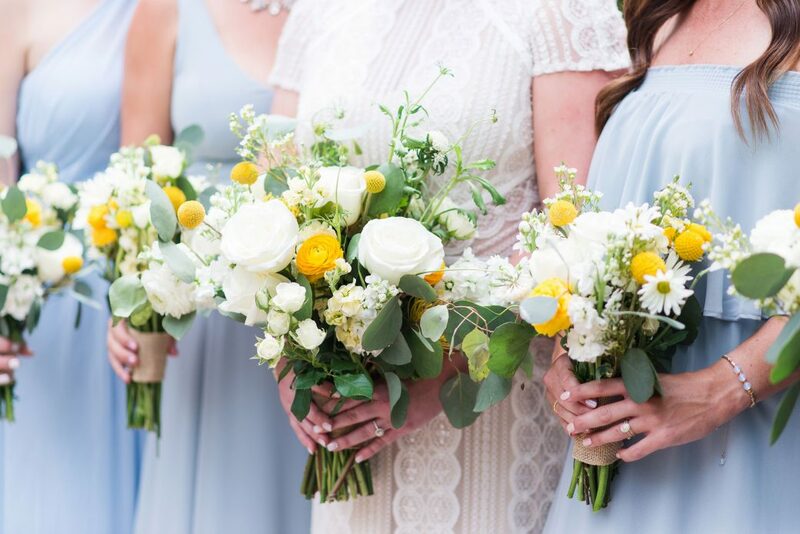 The only things we would do differently would be to have a day-of coordinator and a videographer.